This striking bracelet's overlapping loop design features pavé set diamonds totalling 0.18 carats. The Kiss shape measures 25mm x 15mm, with 3mm deep 'walls'. 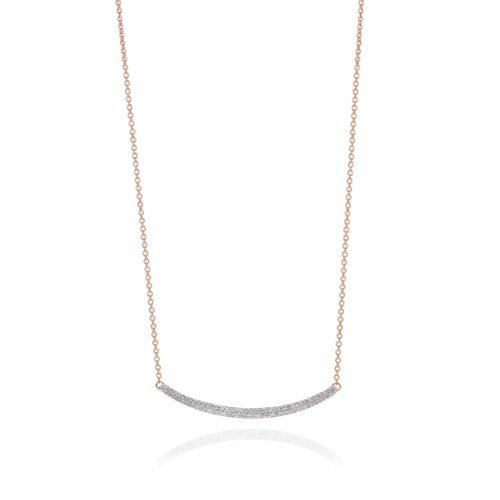 The delicate chain measures 18in and a sliding bead allows you to adjust its length. 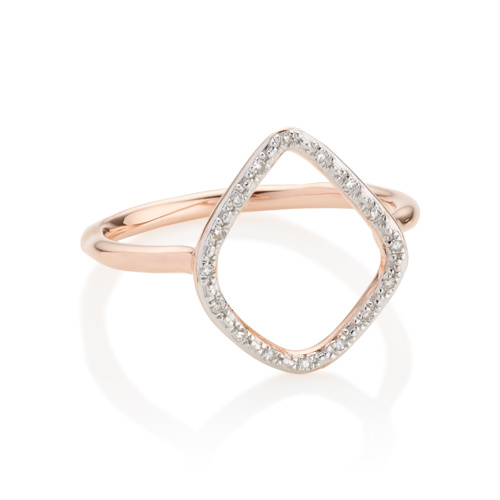 Style with other dainty diamonds to complete the look. Distinctive silhouettes in open diamond loops and gemstones form a minimalist collection with an architectural edge.